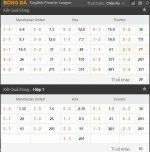 Popular bookmaker with great limits and odds on Asian handicaps, with lots of presence sponsoring or being official betting partner of many top football and rugby clubs such as Bolton Wanderers, Wigan Athletic, Chelsea, Liverpool, Aston Villa and Wigan Warriors rugby team. They have been online since 2006 and are licensed and regulated in Isle of Man, where the special laws for the players protections have been established. They are a specialist at live betting as they offer up to 3.000 live bets every month. Their customer support and website is offered in the following languages : English, Chinese, Korean, Thai. Currency options available : UK Pound Sterling (GBP), Euro (EUR), US Dollar (USD), Hong Kong Dollar (HKD), Malaysian Ringgit (MYR), Chinese Renminbi (RMB), Singapore Dollar (SGD), Thai Baht (THB), Indonesia Rupiah (IDR). You can deposit using the following methods : All major credit and debit cards, Visa, Maestro, MasterCard, Electron, Dankort, China Debt Card, Baropay, Neteller, Skrill (Moneybookers), Entropay, UKash vouchers, MyDebit, Thai card, Wire Transfer, Fast Bank Transfer and Cheque. The cardholder's name must be the same as the registered name on your account; if this is not the case, the account will be automatically suspended. Your can withdraw your winnings from your Sports Book account using the following methods: Cheque, Bank Transfer, Skrill (Moneybookers) and Neteller. Currently, they can't pay out to credit cards. Withdrawals can only be made once daily and customers may only withdraw in the method they have deposited. Recommended digital wallet payment option is Skrill (Moneybookers). They allow two ways to place bets, Online betting, mobile betting, and they offer four odds formats. Decimal (European style), Hong Kong, Indonesian and Malaysian type. It is true that their sportsbook has one of the biggest limits online (the maximum stake is around 35.000 euros per one placed bet). With daily winning limit of 500.000 USD per customer and great betting odds by the even match 1.93-1.93 and for biggest leagues 1.98-1.98, they are surely on of the top bookmakers around. In addition to football live betting, you can also enjoy live betting on American Football, Tennis and Basketball. They operate a simple one wallet system, meaning you have the same user-name, password and payment method to wager at sportsbook, casino and live casino. The advantages in comparison with other bookmakers are many. 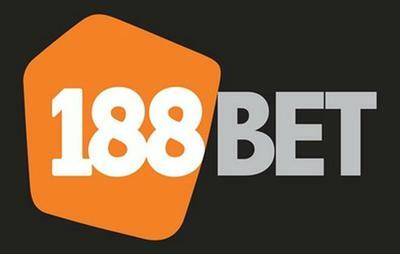 Amazingly high limits, large football betting offers, very early lines with great odds at Asian handicaps, great live streaming for Chinese customers, odds in an even match are up to @1.98 – @1,98 making them one of the industry leaders and that mobile betting is available, are their strongest advantages. However, they are still pretty much oriented as an Asian bookmaker meaning that they still don't have wider offer on more European sports, just as that still don't offer withdrawals directly back to players credit card. Generally, it's really rare to find something negative to their services except that they are still more of a Asian bookmaker than an European one. This is probably one of their strongest point. They are owned by Cube Limited, which is fully licensed and regulated by the Isle of Man Gambling Supervision Committee. All clients funds (deposits and winnings) are held in a segregated reserve account with The Royal Bank of Scotland International and AIB Isle of Man. This means that your money is ring-fenced and safe all the time playing with them.